What a lovely case! I am still going with my iPhone 4S, and am hoping it has another couple of years left...! Your blog is lovely beautiful. do you want to do a follow for follow? What a pretty case! I have the iPhone 5 and I love it, I really want the 6 but the phone I have still works fine! That phone case is gorgeous! Great pictures. Love your case. I've never heard of this brand before, but I always stick with my clear monki case. Great photos. Such a cute phone case! I break almost all the phones I get, so right now I have an unattractive Otter Box. Very cute treat Helen! I love your statement necklace too! Appreciate your visit on my blog very much. Congrats on the new phone! Cannot believe your old one lasted that long! Awesome new case you found! Ah the phone case is so pretty! I love that no one else would have the design too :) although I'd rather it didn't have the logo at the bottom if I'm honest! I don't have an i-phone but the necklace is very nice, because of the neutral color it can be worn with many things. Great selection. Love the new phone!! I've only had one iPhone because I was so late jumping into the game, but my iPhone 5 is already throwing in the towel so I want the new one. I totally understand your love for cases as well because I'm obsessed and as someone who loves feathers, this case is everything! Great pick girl! gorgeous case!!! i love it! 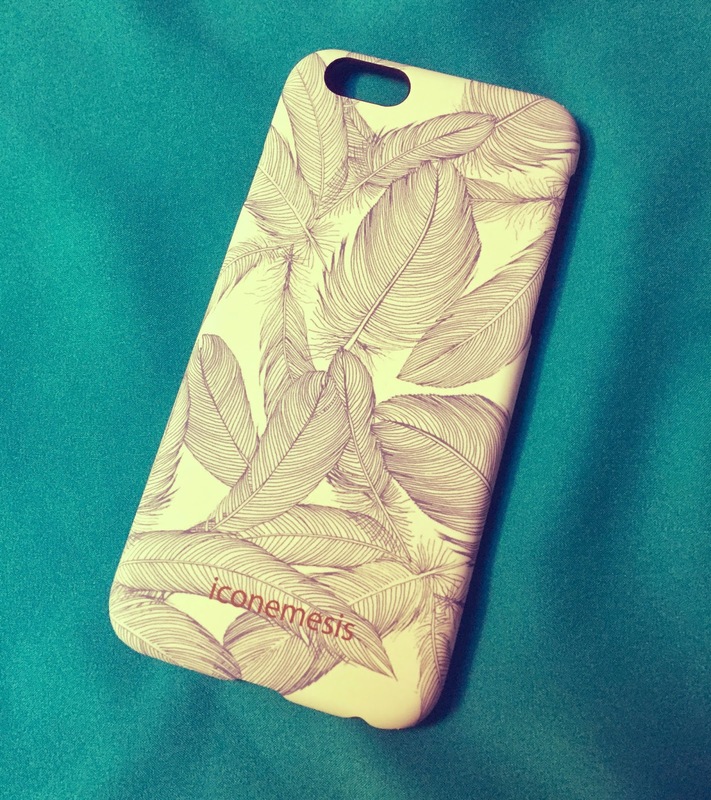 The feather case is fabulous. Aww such a lovely case! My Iphone is on its last legs atm - I'm hoping to get a new phone in summer (fingers crossed) and I'll be sure to remember Iconemesis when looking for a case! I can't believe a 3GS had lasted you for so long! That's incredible! But wowweeee, the iPhone 6 is pretty amazing. I have one myself. I still haven't been able to find a case for it yet. Thank you for introducing me to a new phone case website! Will definitely check it out soon! Great post! If you would like to follow each other via GFC, or BL, or any social media let me know and I will follow you back! Qué funda de iphone tan chula!!! Love the cap the iphone. OK! I need to get my hands on this phone case - it's SO cool. I think that the case is really pretty! What a beautiful phone case! 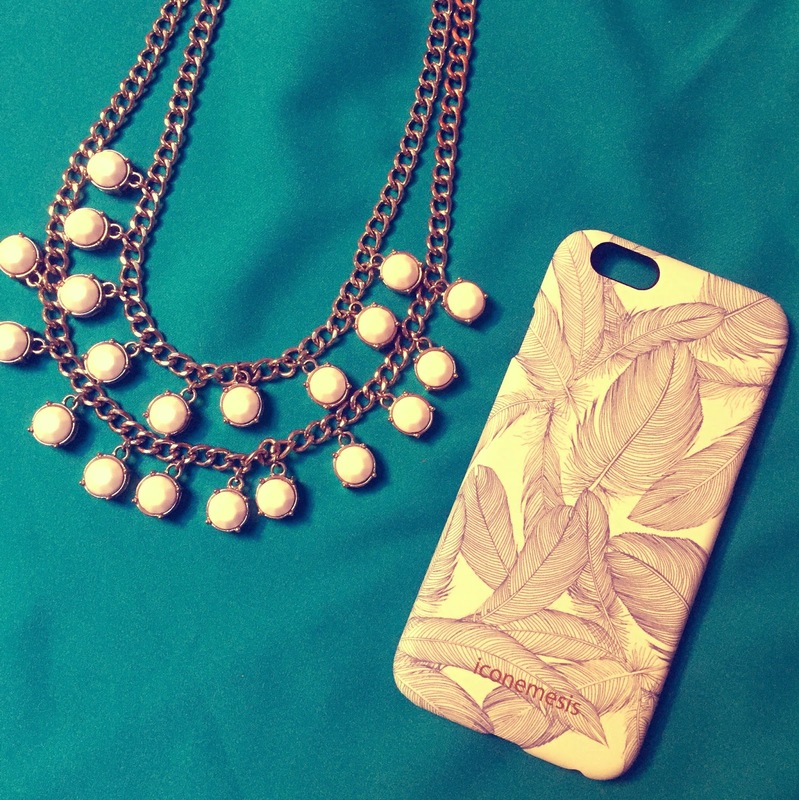 Congrats on the new phone :) Love the case and the necklace! This case is so wonderful special! I'm sure you will love it a long time! Hi sweety! I like your post. Lovely blog also! Can you fallow me via GFC and G+? I love tihs! The case is so cute and I have been looking for one for ages. May have to purhcase!